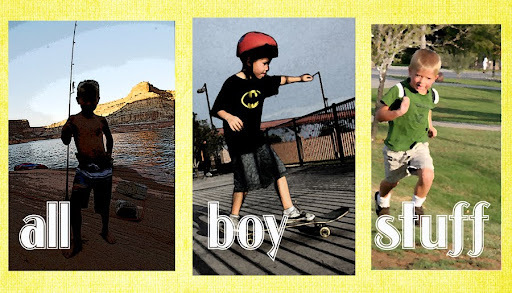 all boy stuff: Happy Birthday America! This is nothing spectacular or new. 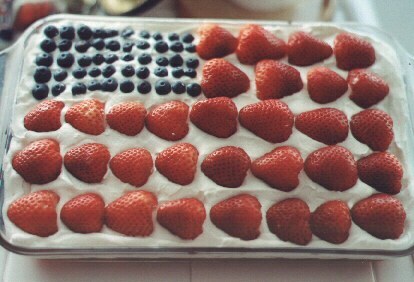 I think you see this type of cake on every magazine around the 4th of July. But, it was new for my boys. And, we got to talk about our country and what the design of the flag means. I LOVE angel food cake. Strawberry Shortcake is one of my favorite desserts. So, we used a box of angel food cake mix and I cheated and used Cool Whip for the "white". It's almost against my religion to use fake whipped cream, but I let down a bit on my snobbish whipped cream standards due to time restraints. Nothing like real whipped cream if you ask me! the 2 year old woke up from his nap while it was cooling and took a few handfuls out of various spots. So, I cut out a few flag shaped pieces for the boys to decorate their own personal flags. I was reading your site with my five year old son and he saw your cake post, so now we are making one this week. I have to buy angel food cake mix but I have everything else. Love your site! I have two boys, 5 and 2 1/2.